It wouldn’t make sense to risk your entire tank on a cheap heater, right? Well, tons of aquarium owners do it all the time…I can’t tell you how many panicked messages I’ve gotten from people who’s heater malfunctioned and fried their entire tank. Choosing a good aquarium heater is extremely important. Heaters are often overlooked as just another piece of equipment, but this couldn’t be further from the truth. Faulty heaters can kill fish, ruin tanks, and have even been known to start house fires. 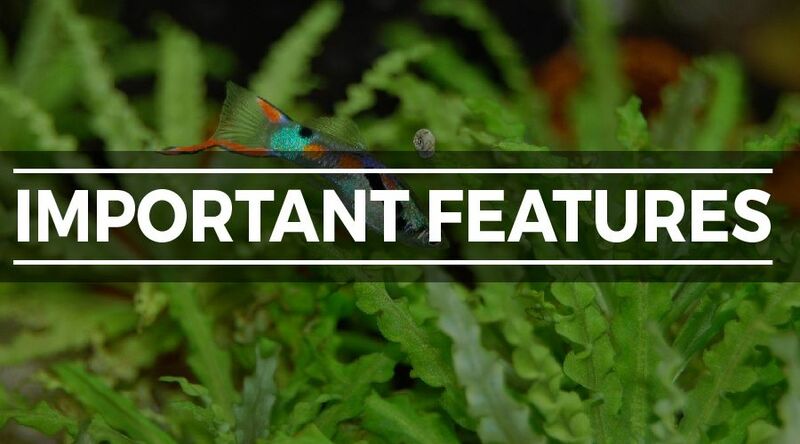 In this guide, we detail our candidates for the overall best aquarium heater on the market along with their strengths and weaknesses. 3 Are Aquarium Heaters Really Necessary? Our #1 choice for the best aquarium heater is the Cobalt Aquatics NeoTherm. I personally bought a NeoTherm for the first time a few years ago and I have never looked back, not even for a second. The NeoTherm perfectly combines design, performance, and durability into a heater that just can’t be beat. Why is the NeoTherm better than other heaters? Absolutely no temperature swings: Before I purchased the NeoTherm, I thought it was normal for a heater to cause some small temperature swings once in a while. This is absolutely not the case with the NeoTherm. When I set the temperature the 78°, it stays there like a rock. Low profile design: The NeoTherm is the only heater out there that isn’t a complete eye sore. The sleek black casing is strong, shatterproof, and significantly smaller than other heaters. I keep my NeoTherm in the back chamber of my Nuvo Fusion, but even if I had to put it directly into the tank it wouldn’t look bad at all. Simplicity: This heater is easier to set and read than any other unit on the market. When it comes to heaters, complications are your worst enemy. You don’t want any room for error. The NeoTherm features a simple dial that is easy to set and a subtle green light to let you know when it achieves the desired temperature. Overall quality: The second you pull the NeoTherm out of the box, you will see what I am talking about. It has an overall solid feel and all of the features, such as the dial, are built extremely well. This heater is definitely made to last. The only (somewhat?) con of the Cobalt Aquatics Neotherm is that it is only adjustable in 2° increments. If you your tank an exact temperature, this may be a problem. Otherwise there is not much wrong with the NeoTherm. The Aqueon Pro Heater is one of the most popular aquarium heaters on the market. It is moderately priced and can be placed vertically or horizontally in the tank using dual suction cups. A large, easy to read gauge is placed on the corded end of the heater to allow owners quick access to the adjustable temperature knob. One of the shining features of this aquarium heater is its lifetime warranty. It is pretty rare finding a company that is willing to stand behind their product FOREVER, but Aqueon does exactly that. If you manage to have any problems with the heater, all you have to do is contact customer service and it will be replaced free of charge. The EHEIM Jager is a household name when it comes to aquarium heaters. They have been around for a long time and have earned a great reputation as one of the best aquarium heaters over the years. One of the best features of the EHEIM Jager is its lifespan. They are built to last years on end. When you buy a Jager, you can be assured that it will deliver great performance for 5+ years. Another great feature that makes these so great is the Thermo Safety Control. If water levels dip too low or there is any sort of malfunction, the Jager will automatically shut off. Overall, the EHEIM Jager is a classic, reliable heater built to last. TruTemp Dial allows users to calibrate the heater themselves. Directions for use are poor; it is recommended that owners look up user guides on YouTube instead of relying on the instructions included in the packaging. 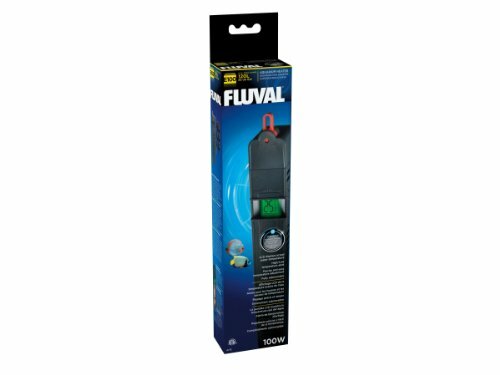 Fluval is an extremely well-known brand when it comes to aquarium equipment. Their E-series heater comes in 100, 200, and 300 watt models, so it is probably not best suited for smaller tanks. The E-Series heaters are a little more expensive than most of the others on the list, but you are paying for quality. Three built-in suction cups help give this heater a sleek profile when attached. One thing I really love about this model is the plastic fish guard. This guard covers the shockproof glass heating core and ensures that fish are not directly burned by the heater. With this feature, it is clear that Fluval went the extra step to ensure their heater are completely safe. Low Flow alert is know to malfunction and can cause problems with evenly spread heat. Should only be placed vertically in the tank. Penn Plax comes in several different sizes, ranging from 25 to 300 watts. 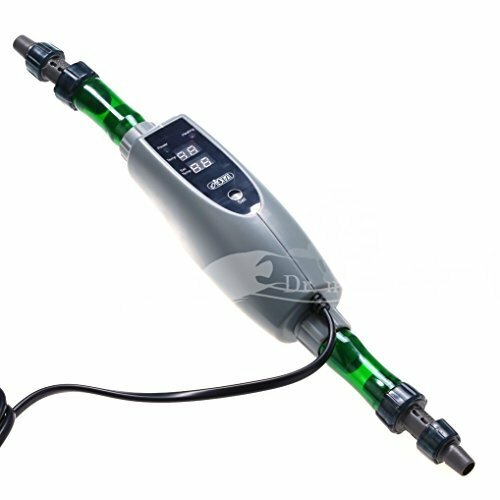 As with most of the other products here, this tubular heater can be placed horizontally or vertically inside the fish tank. The Penn Plax measures 8” long and 1.5” in diameter. It is the most budget friendly heater on the list, but lacks in terms of power and reliability. Although it comes preset at 76°F, it does allow aquarium owner’s to adjust the temperature. 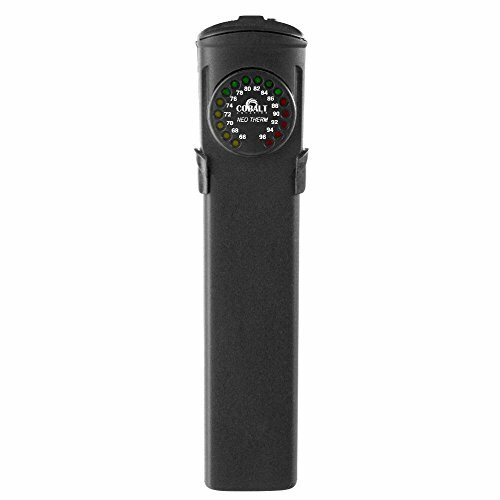 Display is a standard aquarium thermometer contained inside the glass tube. Readouts in Fahrenheit and Celsius are visible. In-Line aquarium heaters are different than normal submersible heaters. In-Line heaters sit outside of the main tank and are generally connected between the sump and the main tank. These can be useful for large tanks or for those going for a very minimalist look. Since they aren’t located in the main tank, In-Line aquarium heaters can help preserve a clean, clutter-free look. That said, they are a bit more complicated to use than regular submersible heaters – I would only recommend In-Line heaters for those with a lot of fish-keeping experience. This Hydor In-Line heater is definitely the “gold standard” when in comes to in-line aquarium heaters. It is easy to install and works well right out of the box. Based on my experience, this heater keeps water temperature rock solid – I never noticed a fluctuation of more than 1°F. Another big benefit of this Hydor heater (an in-line heaters in general) is the evenness of heat. Unlike submersible heaters than sometimes create cold spots, this heater warms every drop of tank water to the same temperate. The only minor flaw int this heater is the temperature reading. I noticed that my thermometer measured a few degrees different than the heater – that said, this isn’t a big deal at all. Just adjust the heater accordingly based on your own thermometer readings. 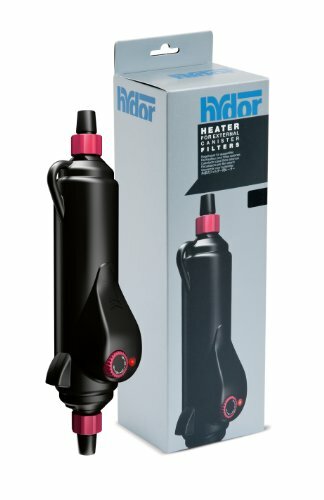 The important thing is that the Hydor keeps temperates stable, which it does amazingly well. Evenly heats entire aquarium – no more cold pockets! 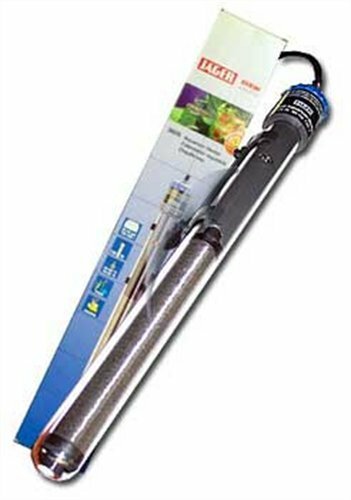 The ISTA In-Line aquarium heater is the perfect choice for anyone with a large aquarium. Available in up to 500 watts, there is no size tank that this heater can't handle. The ISTA In-Line heater is built for power. Available in 150, 300, and 500 watt versions, this heater is the perfect choice for large tanks. Like most in-line heaters, this unit does a great job at keeping temperatures stable while lending to a clutter-free look. One thing I should note about this heater is that the installation is a little more difficult than the Hydor heater above. The hose connections don’t seem to fit perfectly with the appropriate size tubing – if you don’t mind applying a few zip ties, this shouldn’t be a problem though. 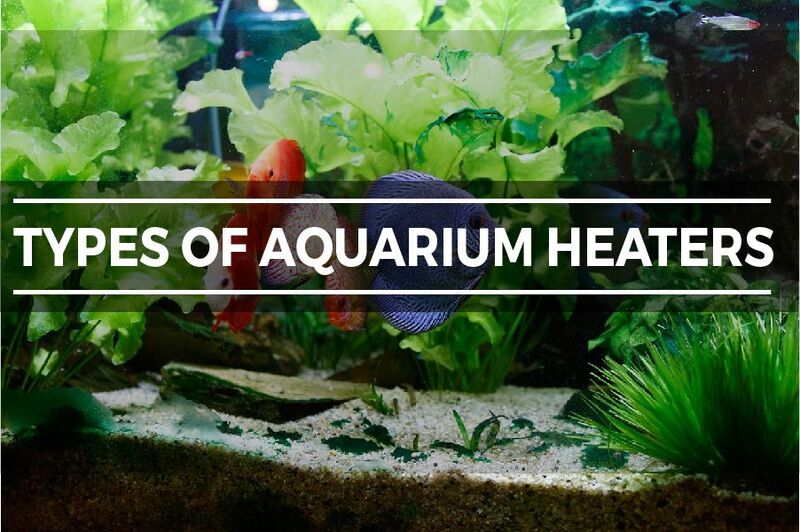 Are Aquarium Heaters Really Necessary? Temperature Control – The first, and most obvious, use for an aquarium is for temperature control (duh). That said, it is sometime much more complicated than setting your heater to 78° and calling it a day. For example, my Cory Catfish breeding tank requires specific temperature fluctuations each to to induce breeding. Stability: Whether you have a cool LED light or metal halides that sometimes feel as though they’re burning at the temperature of the sun, every light puts off some level of heat. When these lights go off at night, water temperatures can fluctuate dramatically (and if there’s one thing that’s bad for a tank, it’s temperature swings). A heater helps keep the water temperature at a stable level regardless or room temperature or tank lighting. There are several types of aquarium heaters available on the market. In this summary, we will go over the five most common types of heaters and their intended use. Immersible heaters are usually hung over the top edge of the aquarium into the water. As a result, a tank with an open hood is usually required. Immersible heaters are generally made of glass, which can pose a few issues. To begin, glass is extremely fragile and is susceptible to cracks. As with anything else relating to fish tanks, cracks are not good. Therefore, make sure the heater fits perfectly and is not resting against any rocks or decorations. Immersible heaters are generally not recommended for saltwater tanks. The corrosive nature of salt wears away at many of the components in immersible heaters. That being said, immersible heaters are generally the cheapest options and may appeal to beginner freshwater fish owners. Submersible heaters are made to be completely submerged under water. This allows aquarium owners to move them around and customize where they sit within the set up. Make sure you don’t place these directly in substrate. This type of heater is generally more efficient than immersible heaters. They are slightly more expensive, but the extra cost is definitely worth it. They provide more flexibility, consistency, and tend to be a lot safer for the fish. As the name implies, in-filter heaters are built directly into the aquarium filter. While this design is very convenient and seems like a great idea, execution is not always perfect. In-filter heaters are known to provide uneven heat, leaving cold spots in the tank. These heaters sit outside on the main aquarium. they are usually located in the sump or connect between the sump and the tank. External heaters tend to be the safest option in regard to your fish. Since fish don’t have direct access, accidental burns or cracks are impossible. Though they are very safe, external heaters can be difficult to set up and quite expensive. In reality, the cost is only justified if you are planning on setting up a huge tank, probably 500 gallons or more. As the name implies, these heaters are buried in the substrate matter than lines the bottom of the tank. These are not common in the US, which makes them expensive and hard to find in stores. That being said, they are the best type of heaters for planted aquariums. Aquarium heaters generally come in one of two settings; static or adjustable. Both setting have their own strengths and weaknesses, which we will discuss below. Static aquarium heaters are very simple and easy to use. They produce one temperature and one temperature only. While this is very simple, it is also very limiting. With static heaters, you don’t have the option to make your tank warmer or cooler. I generally don’t recommend static heaters for tanks over a few gallons. Adjustable temperature heaters give the user much more control. With adjustable temperature heaters, the aquarium owner to pick a desired temperate and set the heater to produce that level of heat. This allows you to change your tank temperature depending of fish species, which is usually necessary. Because of the inherent dangers related to heaters, it is extremely important to select a shatterproof and shockproof model. Damaging the glass on a heater can cause serious issues, including overheating and toxic chemical leaks. As a result, I always recommend putting durability at the top of my list. Stay away from anything made of glass and the cheap $5 heaters you can get at large chain stores. I have tested a lot of heaters over my years. The most durable one, by far, is the Cobalt Neo-Therm. Its durability was especially helpful for me because I kept it next to rocks in my reef tank. Any nudge from rocks would have broken a glass heater, but my Neo-Therm remained unaffected. It is extremely important to get the right size heater for you fish tank. A heater that is too small will not be able to heat the entire tank. The heater will attempt to heat the water 24/7 and never actually achieve the desired temperate, which can cause damage. If anything, it is best to go with an oversized heater; never go too small. A good rule of thumb when it comes to heater size is 3-5 watts per gallon. For example, a 20 gallon tank will generally need a 60 to 100 watt heater. If living in an area where cold temperatures are common, a higher wattage is beneficial. In addition to this basic rule, you can simply check the manufacturers recommend size. They will usually suggest a minimum wattage for each tank size. Because heaters can single handedly “make or break” a tank, safety features are a great asset. Automatic shut off functions and temperature sensors are highly desired by most aquarium owners. In the case of unexpected water level drops, and automatic shut off will turn the heater off to prevent fires. Temperature sensors that shut down or start the heating element can also provide peace of mind. They will prevent dangerous cold drops and overheating. As you can probably see, picking out the best aquarium heater really depends on your budget and needs. For those on a small budget, the Aqueon Pro and EHEIM Jager are both great choices. The lifetime warranty of the Aqueon Pro is a huge bonus and very reassuring, especially when considering how finicky heaters can be. With a lifetime warranty, you will never have to worry about a faulty heater again. The EHEIM Jager offers a bit more performance compared to the Aqueon Pro. We noticed less complaints, and the three year warranty is nothing to scoff about. If money is not a concern, the Cobalt Neo-Therm and Fluval E Series are both exceptional heaters. The flat, compact design gives it a modern look and allows it to fit in even the tightest spaces. This can be extremely useful, especially for aquarium owners who don’t want the eyesore of a large heater. Overall, any of the units on the list can provide reliable, consistant heat if used and taken care of properly. Remember to keep your heater away from rocks, filters, and decorations. 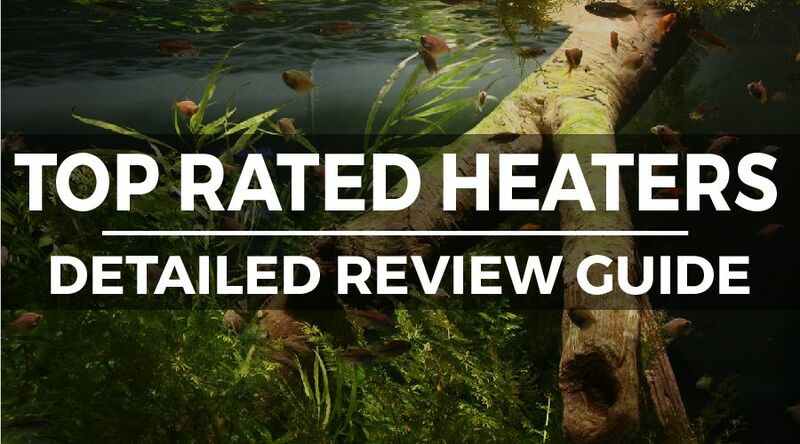 Thank you for reading our list of the best fish tank heaters!